Let’s welcome the brand new month with more awesome news! 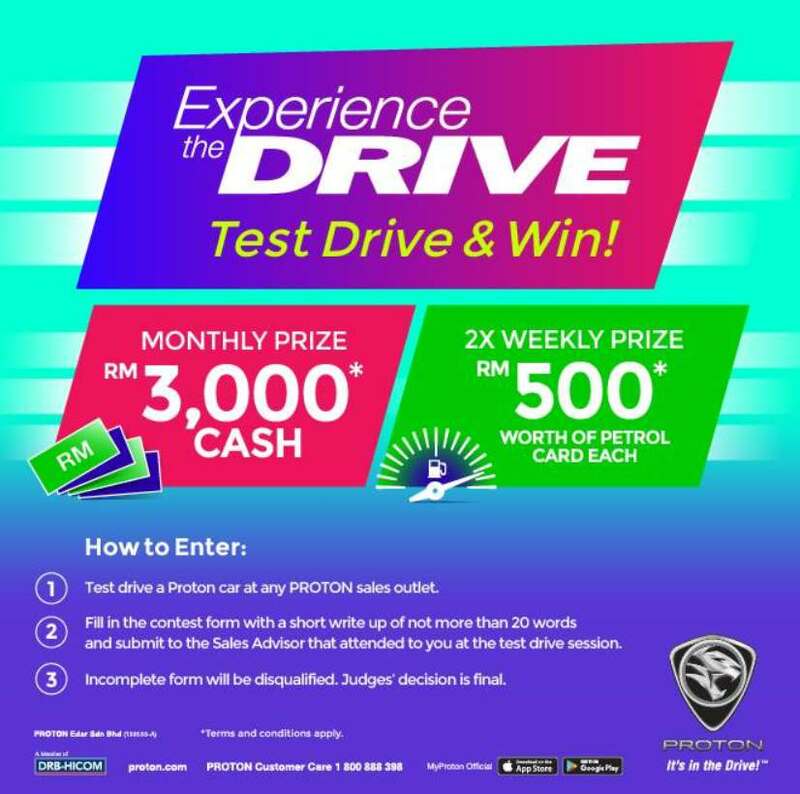 Jom join the “Experience the Drive Contest” and you might be one of our lucky winners to bring home a petrol card worth RM500* and even better, stand a chance to be our monthly winner to bring home RM3,000* cash! Download MyProton Official app to book a test drive! Get the app from App Store or Google Play if you haven’t done so. Find out more at Proton Cars.